If your family loves golf you won't want to miss this awesome event - makes a great Father's Day gift too! This post is sponsored by Quicken Loans National. All opinions are my own. It was the best Father's Day gift ever. Six years ago, my sister and I surprised our dad with the ultimate experience - a day at a professional golf tournament. My dad was a golf fanatic. He loved to play, and watching golf on Sunday was a ritual in our house. I grew to love the game because I loved spending time with him - I even ended up working at a golf course one summer in college. But we had never had the chance to go to a tournament together until that Father's Day weekend. It was an unforgettable experience and a day that I'll always treasure. Growing up with a golf loving dad, it's no surprise that my husband is a golfer too. And of course he has introduced the game to our twin boys (they got their own baby clubs for their first birthday). Even though they are still young they are really getting into golf with daddy. This year I'm excited to give my husband a super fun Father's Day gift - tickets to the Quicken Loans National, coming to TPC Potomac in Potomac, Maryland, June 26-July 2. Taking my almost 5 year old twins to any large event is sometimes overwhelming, so I need to make sure that it is totally family friendly before I decide to go. The Quicken Loans National fits the bill for us and is one of the must attend sporting events in the Washington, DC area this year! It promises to be a day filled with fun for our entire family and a gift my husband will never forget. For my husband and me, there are 120 of the top golfers in the world (like Rickie Fowler and Billy Hurley III) competing on the gorgeous TPC Potomac course. And with the flexible grounds ticket, we have the option of attending the day of our choice. Since life with kids can be unpredictable, this is a great way to make sure we can make it on a day when we will all be ready for fun. And the best part - grounds tickets are FREE for kids age 12 and under. And tickets for kids age 13-17 are discounted. You can also pick up discounted youth tickets for all ages for the Rocket Mortgage Madhouse - this is the perfect spot to enjoy views of the course from a climate controlled environment with upgraded food and drink options. There are also tons of activities and events for the kids which makes it perfect for families like us. My boys are not quite old enough to enjoy an entire day of watching golf, so we'll definitely be visiting the Kids Village for mini golf, interactive games, and more. We can't wait to check out the TGR Learning Lab Youth Activity Zone for awesome STEM inspired activities! There's also a really cool youth golf clinic happening on Wednesday, June 28, on the driving range at TPC Potomac. Get tips from PGA pros to take your game to the next level and it's totally free. How great is that? But my favorite part of the Quicken Loans National is the fact that all of the proceeds benefit the college access programs of the Tiger Woods Foundation. When we can have an awesome family outing and support youth education programs that make a real difference it's a win-win for us. 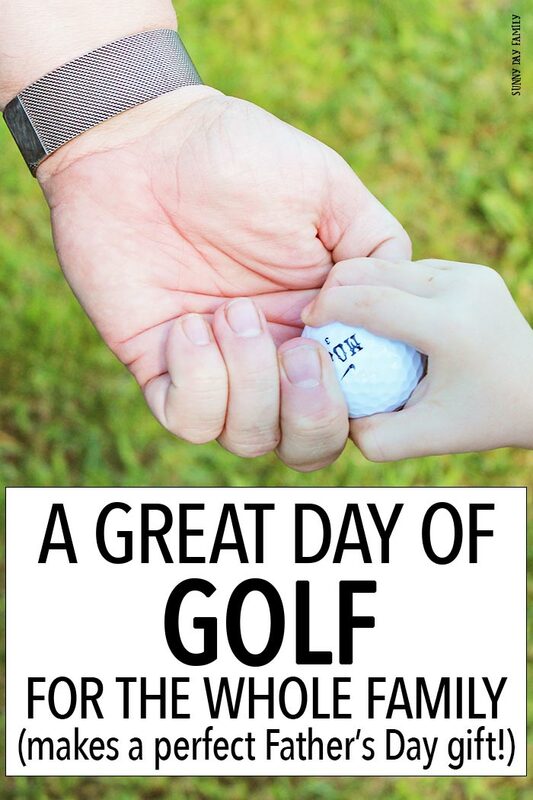 So if you're trying to find the perfect Father's Day gift for the golf lover who has everything, create an amazing family memory, or just want to enjoy an awesome summer activity, then check out the Quicken Loans National. Click here to explore all the family activities, ticket options, and more! 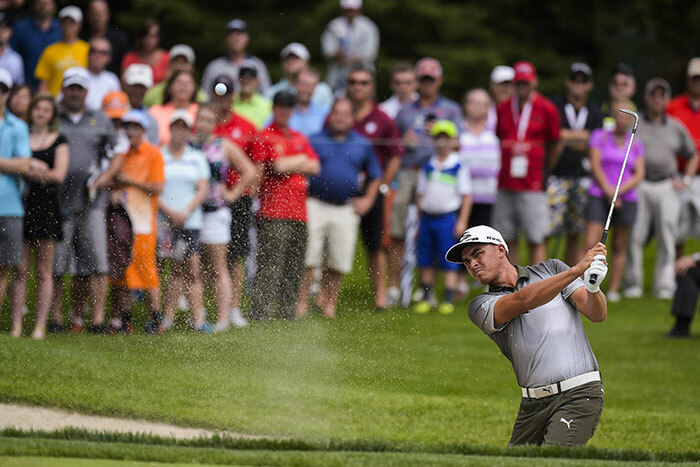 The Quicken Loans National is giving away one four pack of tickets to the Rocket Mortgage MadHouse to one lucky winner. The MadHouse gives guests great views of the 17th tee and premier, indoor lounge style amenities. Just follow the directions on the entry form below to enter. Giveaway ends on 06/26/2017 at 11:59pm EDT. It is open for U.S. residents only.